Welcome to "Berkeley YMCA" Shotokan Karate (http://berkeley.ska.org). The Berkeley YMCA dojo is an affiliate of Shotokan Karate of America (SKA), a non-profit organization teaching traditional Karate in the United States since 1955. SKA has more than 120 dojos in North America as well as in thirteen countries, including Canada, France, Israel, Spain, Switzerland, Hong Kong and Japan. SKA is dedicated to teaching Karate in the traditional Japanese manner. We welcome adult students of any age and children from age 12-13. Class structure allows for the admittance of new students at any time of the year. 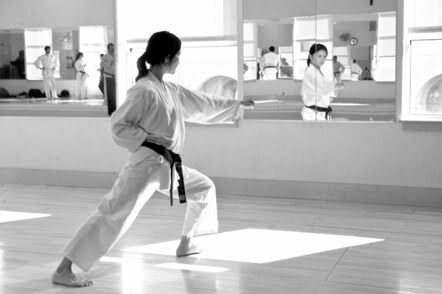 As a member of Shotokan Karate America and the YMCA Berkeley dojo, you are entitled to participate in special practices, seminars, and events at our central dojo near Santa Barbara or at other dojos worldwide. 2017 Summer Special Training June 14-18: West Coast Special Training at Cal State University Channel Islands. Do not let this opportunity pass you by! We will carpool.